By Emma's Revolution - they will be singing at the Veterans for Peace convention ending march and rally in Portland, Maine on Sunday, August 29 from 9am til noon. I have recently returned from a weeklong trip to South Korea, where I visited several communities that are experiencing major expansion of U.S. military bases. Several farming and fishing villages, each more than 400 years old, are either being completely destroyed or severely impacted as their lands are taken for the enlargement of U.S. bases. The Washington Post reported several years ago that the U.S. would be doubling its military presence in the Asian-Pacific region in order to “manage” China. Thus we now see U.S. base expansion on Guam, Okinawa and in South Korea. The U.S. wants to deploy Aegis destroyers, built here at Bath Iron Works, at the base on Jeju Island largely because of its strategic proximity to China. China imports 80 percent of its oil on ships and a Navy base on Jeju would help give the U.S. ability to “control” this vital shipping lane in the Yellow Sea. While the declining U.S. economy can’t compete with China anymore, the Pentagon is embarking on a strategy that says if we can control access to declining supplies of oil then we will still hold the keys to the global economic engine. A very provocative strategy indeed. Gangjeong village is famous for growing tangerines and for its fishing and soft coral reefs. UNESCO has named the sea coast there as one of the world’s environmental jewels. 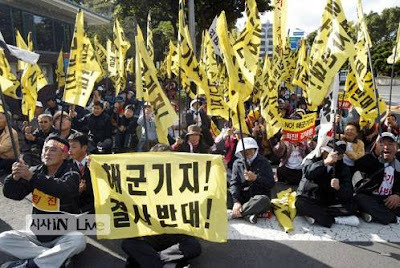 The building of a Navy base in Gangjeong, to serve as a port for the growing U.S. Aegis destroyer fleet, will require dredging of the sea bed and destruction of the coral. Gangjeong’s rocky coast reminds me much of Pemaquid Point here in Maine. The Navy plans to completely cover the rocks, now full of aquatic life, with cement in order to build docks for the ships. The village of 2,000 people held a referendum where 94 percent of the residents voted against the Navy base. 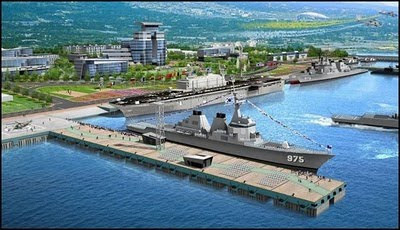 Sadly, though, the right-wing South Korean government is moving forward with plans for the Navy base construction, carrying out the will of the U.S. Navy. Already more than 50 of the residents have been arrested for their nonviolent sit-ins as they attempted to block construction equipment from beginning work. 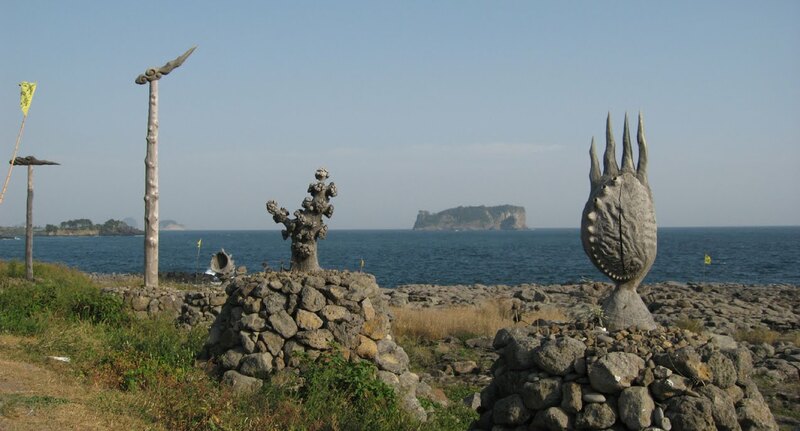 Next month Gangjeong residents will do their third weeklong pilgrimage around the entire Jeju Island in order to plead with their government to cancel plans for the Navy base. They are doing all they can to protect their fishing and farming culture. They talk about the need for someone to fight for the water, the coral, the fish, and their lands. The Maine Veterans for Peace recently held another protest at the latest “christening” of an Aegis destroyer at BIW. Few in our state think about where these ships go once they leave Maine’s waters. But I have now seen one community in South Korea that does not want these ships to come there. 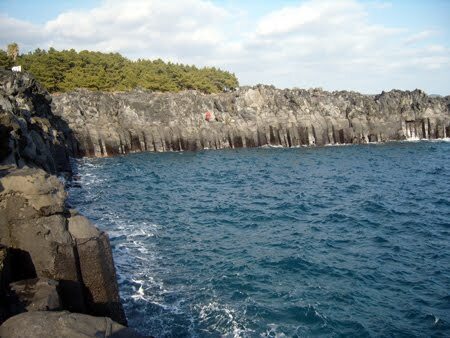 Gangjeong’s mayor told our visiting international delegation that “Jeju Island is at a crossroads — either eco-friendly or militarized.” When he said that, I wondered how Mainers would feel if the Navy wanted to pour concrete on the rocks at Pemaquid Point? I bet Mainers would fight to the bitter end. That is what the villagers in Gangjeong intend to do. Bruce K. Gagnon is the coordinator of Global Network Against Weapons and Nuclear Power in Space. He lives in Bath. I watched several hours of the "debate" and voting on the war $$ supplemental bill early last evening. To say it was a convoluted process would be an understatement. Activist David Swanson blogged throughout the vote and this morning sent around a good piece trying to explain the maze of votes that Democratic party leadership constructed in order to ensure passage of the war bill. 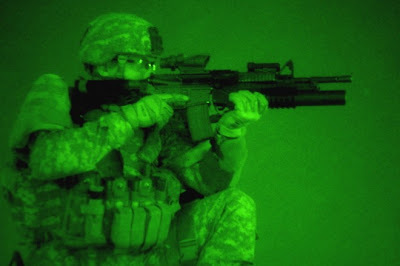 "Congress has long tended to pass unrelated measures in combination with war bills, and usually some of these measures, such as funding schools, jobs, veterans care, or disaster relief, provide excuses for some "anti-war" Democrats to vote for the war funding. But including good things with war bills can lead the Republicans to vote No. When they all do that, as they did last June, no more than about 40 Democrats can vote No or the bill fails. Last June, the leadership and the White House were able to threaten and bribe enough Democrats to vote yes on a bill that funded both war and an IMF banker bailout. Only 32 Democrats voted No. On Thursday the House leadership couldn't do that because over 40 Democrats refused to be bought off. In fact, at least 51, and reportedly 80 to 90 had committed to voting No. "In theory, this should have resulted in separating the pig of war funding from the lipstick of domestic spending. Both would then, in theory, have easily passed the House as separate bills, with the domestic spending facing an uncertain fate in the Senate as long as the leadership over there keeps the filibuster rule in place. It would also have forced the Democratic leadership to pass the war funding with more Republican votes than Democratic. "But that's not what happened. Instead the Democratic Leadership produced something called a self-executing rule. Typically, the House will vote on a rule for how a bill will be voted on, vote on amendments if the rule permits any, and then vote on the bill. In this self-executing rule, the bill was to be considered passed if at least one amendment to it was approved. Otherwise it was to be considered dead. Either way, there would be no vote on the bill. There was, however, a vote on the rule. But here's the catch: it isn't considered polite and appropriate to vote against a rule, and Americans are not expected to notice how anyone votes on a rule. It's not a bill, but a procedural matter -- never mind if the procedure is to pass war funding without another vote. "In the end 38 Democrats, including very few progressives, voted No on the rule, which passed 215 to 210. That's suspiciously close, and suggests that the leadership permitted those votes but no more." "And before they approved the war funding, a block of Democrats insisted on holding votes on a series of measures to show their disapproval of the war. "One hundred fifty-three House Democrats and nine Republicans voted for an amendment, sponsored by Rep. Jim McGovern (D-Mass. ), that would require Obama to present a plan by next April for the 'safe, orderly and expeditious redeployment of U.S. troops' and allow a vote in Congress to stop additional war funding if withdrawal does not start by next July, the time administration officials have said they will start reducing forces in Afghanistan. "Ninety-three Democrats, along with seven Republicans, backed an even more restrictive amendment from Rep. Barbara Lee (D-Calif.) that would allow the war funds to be spent only on withdrawing troops from Afghanistan." Neither of those anti-war amendments passed because many Democrats and Republicans joined together to defeat them. Here in Maine our two members of the House of Representatives voted against the war funding bill (and the rule) which is a big victory for our Bring Our War $$ Home campaign. But we still have much work to do. We have two Republican senators in Maine and have to work on them next. But first we must convince our two Democrat members of the House that they must take an active leadership role in further educating Mainers about the costs of war to our state. They could play a key part in helping move the public consciousness to the point that our Republican senators must move against further war spending. We either work together to make this happen or it goes no where. One good vote does not end an expensive and immoral war. Cooperation, good planning, and hard work is the only way out of Iraq-Afghanistan-Pakistan. The sooner we get started the better. Rep. Alan Grayson (D-Orlando, Florida) makes a brilliant presentation about the true costs of war spending. It's hard to believe that the Republican bastion in muggy Central Florida has elected such a strong peace advocate but it is delightful to see. I lived there for 20 years and can only imagine how much things are changing politically. It's the big growth that did it, with all the folks coming there looking for work in the "Magic Kingdom" it was bound the change the local politics. Maybe Orlando becomes a great working class cauldron of discontent - it's possible because of all the low-wage tourism industry workers that are hanging on by a thread. It's obvious those are the folks that Grayson is speaking to and for. * The video just below this blog post really got to me. I did not realize they were burning the oil slicks offshore to this extent. The man who made the video asks, why aren't they out there with big tankers sucking this oil out of the ocean? It's likely a matter of $$$, always cheaper to do it the easy way. To hell with the consequences. * One of my younger sisters called me the other day and was venting about the Gulf. She's lived in Florida for most of her life. At one point though she started getting into a bit about how we were all going to die, nothing could be done, etc. I've been hearing more of that talk lately and I can't stand the sound of that tune. Years ago I remember showing an anti-nuclear weapons film at a senior citizens center in Florida and some of them were saying the same thing. "Oh, we are going to die soon anyway, the world is screwed." That kind of crap. I remember telling them that "Hey, you have children and grandchildren. You still have life in you, stand up and fight for the future generations." I told my sister the same thing. Who the hell do we think we are, that after thousands of years of human life on this planet, that we think we can just arrogantly give up the ghost? Burns my britches. 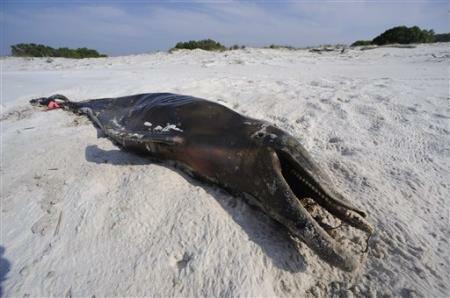 We have a responsibility to protect the future generations and to protect our relatives in the plant and animal world. We made this mess and now we have to deal with it. Stand up and fight for something! Fight for life! * Yesterday I taped by public access TV show with Maine Veterans for Peace (VFP) leader Tom Sturtevant. We talked about the August 25-29 national VFP convention that will be held in Portland, Maine. Tom is a Korean War veteran so we also talked about his experiences on an aircraft carrier during the war as the planes took off and bombed virtually every building in North Korea. We also went into some of the history of U.S. support for a series of right-wing (fascist) dictatorships in South Korea following the Korean War. It was good to be able to air some of these issues after having just returned from Korea. * Then last night co-host Peter Woodruff and I did our weekly radio show on WBOR at Bowdoin College in Brunswick. We covered the oil disaster (Peter has found some great music on the Internet that has been written since it happened); we talked about Jeju Island and the Aegis destroyer deployments planned there at the proposed Navy base; we went over the expected House of Representatives vote today on another $37 billion war supplemental; the upcoming Veterans for Peace convention; and we concluded with coverage of the G20 police violence in Toronto. A packed show it was. One of our better ones I think. * This Sunday will be the annual July 4 parade here in Bath. I am told it is the biggest in the state - thousands come to watch it. Our local peace group (PeaceWorks) always participates and this year we are making a much bigger effort to get folks to join us to help carry two big puppets, big banners, and signs. We will be holding the Bring Our War $$ Home banner and making signs with symbols of things we want to fund - education, health care, food, public transit, wind turbines, etc. The Navy is having the entire crew of the USS Maine Trident nuclear submarine in the parade in order to promote the joys of a nuclear weapons delivery system. We are calling on all available Mainers to join us in Bath at noon for the parade. Stand up and be counted for peace! Absolutely shocking video from airplane of fires burning off the oil slicks in the Gulf of Mexico. Forget the Clean Air Act. This is all about illusion, burning the oil miles from shore to create the impression that all is well on the beaches but in actuality our air becomes toxified. Obama is allowing this to happen. The hands along the beach movement needs to expand its message to include all the consequences of drill-baby-drill. And while doing this they should also talk more about creating energy alternatives and the need to convert the military industrial complex so that we have to $$$ to do the most needed jobs. Police had Black Block infiltrated in Toronto and knew what they were going to be doing. Democracy in big trouble as police powers expand to level of being able to declare martial law. Toronto police let the Black Block rampage the streets of Toronto untouched and then bust up the peaceful protest later on. Every year we get more and more reports from around the world that the police plant agents posing as Black Block in these protests and they lead the violence. The public turns against the protest movement and the police departments get larger security budgets. A win-win for the corporate agenda. Our Congresswoman Chellie Pingree (D-ME) is talking better on the war $$ issue. Now all we need is to see how she votes on the upcoming war $$ supplemental and the Pentagon war appropriations bills. The final proof will be in the pudding. NORTHAMPTON (Massachusetts) - As area legislators continue to look for ways to offer residents the programs and services they need during a period of national economic instability, some of those residents came together Wednesday night to discuss funding for the ongoing wars in Iraq and Afghanistan and its effect on the city's budget. Whether speaking for or against a resolution endorsed by six city councilors and the mayor calling on U.S. lawmakers to ensure that no more local money be spent to support wars in Iraq, Afghanistan and Pakistan, those who addressed the forum Wednesday night all said they were thankful for the opportunity. "I support this resolution because these wars are costing our country way too many wonderful young lives," said Marty Nathan. "We are poorer and more at risk now because of these wars and I do not want to risk another life for an unwinnable military action." Nathan presented city officials with 500 more signatures in favor of the resolution and pledged to collect at least 1,000 before the resolution is taken to a vote. Col. John Paradis, of Florence, who served in the U.S. Air Force in Iraq in 2004 and Afghanistan in 2006, spoke out against the resolution. "On my last day in Afghanistan, our Afghan translator turned to me and said, 'because of you my daughter can go to school and she will have opportunities that I never thought were possible,'" Paradis said. More than 150 area residents crowded into the Community Room at JFK Middle School for the public forum called by the council to gather comments before the resolution is discussed by two subcommittees and the Human Rights Commission and their individual recommendations are sent back to the City Council. Before opening the meeting, co-sponsor Mayor Clare Higgins encouraged those in attendance to use the gathering to find other members of the community who have a different opinion and arrange to discuss it privately. "This is not structured as an opportunity for an open dialogue between the public and committee members," Higgins said. "I hope everyone here takes the time to talk to other people here they do not agree with. A respectful dialogue doesn't just happen at public meetings. It can happen between all of you." Speaking in favor of the resolution was East Center Street resident Tyler Boudreau, 39, an Iraq War veteran serving as an infantryman. "It is not inherently disrespectful to critique or re-evaluate a military operation," Boudreau said, "particularly if that military operation extends over a period of 10 years, as these conflicts have. It is imperative that we do re-evaluate continually, because the ultimate responsibility for American wars lies with the American people. We have to be able to discuss without passion or prejudice the courses of action before us and their costs and their consequences." Paradis, opposing the resolution, said, "We are at war with a network known as al-Qaida, and its terrorist affiliates who support efforts to attack our country and our allies and to indiscriminately kill American citizens, including, if they were given the chance, right here and now, every person, man, woman, and child in this room without mercy or any remorse." Andrew Trushaw, of Bridge Street, said he didn't come to the meeting to speak for or against the resolution, but said he felt it should be brought to a citywide vote. "I think that it is wrong for the City Council to speak on behalf of the whole entire city of Northampton without actually knowing what the real percentage is," Trushaw said. 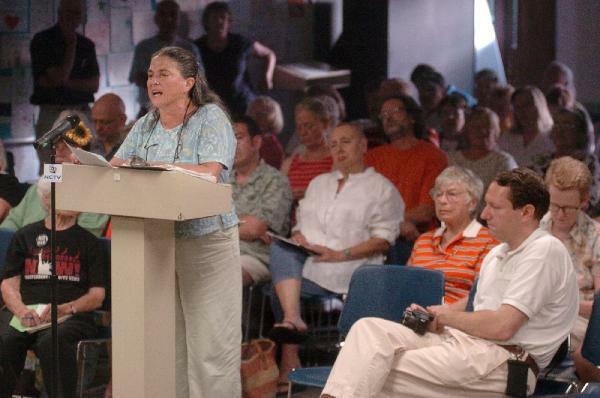 Kitty Callaghan, 54, of Golden Drive, said that after spending the last 25 years representing the city's low-income tenants as Western Mass. Legal Services attorney, she believed "war dollars should be brought home to address the housing crisis in this community." "To show you the magnitude of our housing problem, in 2006 the Northampton Housing Authority opened their waiting list for one week and had 800 applicants. As of today, there are 100 applicants still on that waiting list," Callaghan said. "I would like Congress to bring home our war dollars so we can provide enough housing vouchers so that local people aren't struggling and aren't homeless." Another U.S. Air Force veteran at the meeting, Col. Gary Keefe, 46, of Avis Circle, said he disagreed with the proposal because he thought many city residents' expectation that Northampton would get any more federal dollars as a result was unrealistic. "If the council wants this resolution to go forward, I agree with Andy Trushaw, put it on a ballot and let the city vote on it," Keefe said, adding, "The city is not going to receive a big check. That's not how the government's budgeting system works." Keefe also questioned the American Friends Service Committee's claim that the city of Northampton has collectively paid or become indebted to the amount of $111.7 million in federal taxes over the course of the Afghanistan and Iraq wars. "I don't know where they came up with this $111.7 million dollars," Keefe said. "I'd like us to apply that same factor to find out what illegal immigration is costing the city of Northampton." Elliot Fratkin, 62, of Massasoit Street, said he thought the wars in Afghanistan and Iraq could not possibly end in military victory for the United States. "Half of the country today feels that they don't know why we are still in these wars," Fratkin said. "I urge the City Council to pass this resolution, bring our war dollars home and send a clear message to our representatives and state senators." My Note: I am told by the woman in the photo above that folks in support of the resolution outnumbered war supporters at the public meeting by a number of 5-6 to 1. This is the kind of student leadership we need in the U.S. This student leader is connecting the dots by saying don't tie education funding into the upcoming vote on the $33 billion war supplemental bill. That is a message of solidarity! * Back home after a great weekend in Madawaska. Had a real beautiful drive on country roads about half of the way home from the north. Some great scenery along the way with Mt. Katahdin and beautiful rivers and lakes. Did not see a moose. About two hours south we stopped at a roadside "clam shack" and immediately ran into two more of our Gagnon "cousins" from the reunion. They are all over the place! 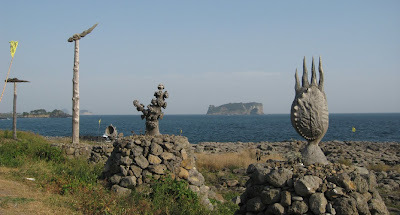 * This morning I got a confirmation from our local newspaper that they will run my op-ed piece about my recent visit to the Gangjeong village on Jeju Island in Korea. In the piece I suggest that it is time for people in Maine to think about where these Aegis destroyers, that are built here at Bath Iron Works, go when they leave Maine. I also said that the folks in Maine would never allow our rocky coast to be covered with cement by the Navy to build piers to port these warships. Looks like the op-ed will run in the Friday edition with a photo from the island. Will post it once it appears in the paper. This year marks the 25th anniversary of Veterans for Peace which was actually founded here in Maine. Should be a wonderful event - great music, speakers, lobster bake on nearby Peak's Island, and banquet featuring Noel Paul Stookey, of the revered group, Peter, Paul and Mary along with keynote speech by Chris Hedges.